I love SUMMER! I miss SUMMER! Sometimes I wish it was summer all year round. But then I remember. A cozy feeling of an autumn coat and the crunching sound of fragrant leaves. And APPLES! One of my favorite autumn things. 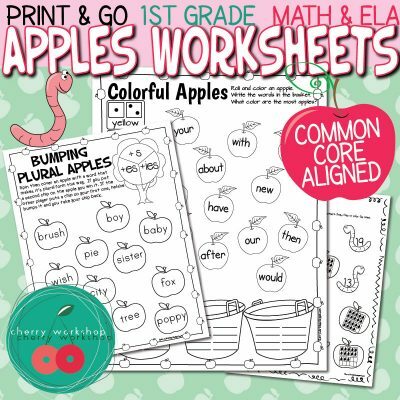 So it’s no surprise that I have and use a lot of apple-themed resources. I haven’t been able to share even half of them yet but I’m slowly getting around to it. First, an idea for a simple game. 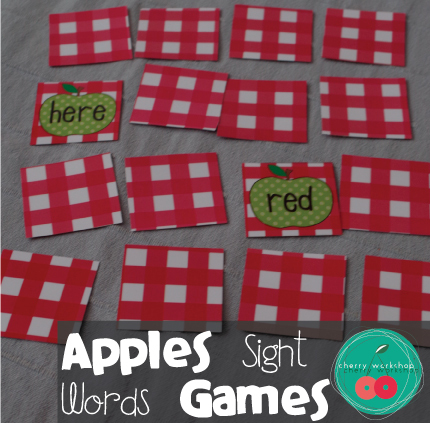 It can actually be played with any ten frame but the theme we use is so much fun! 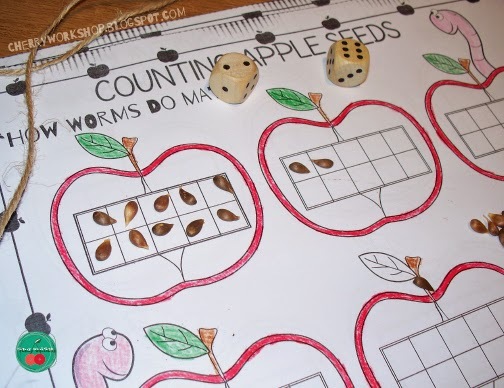 Do you know how worms do math? I don’t think I do, either 🙂 but me and my kiddo we have decided that they must use apples. 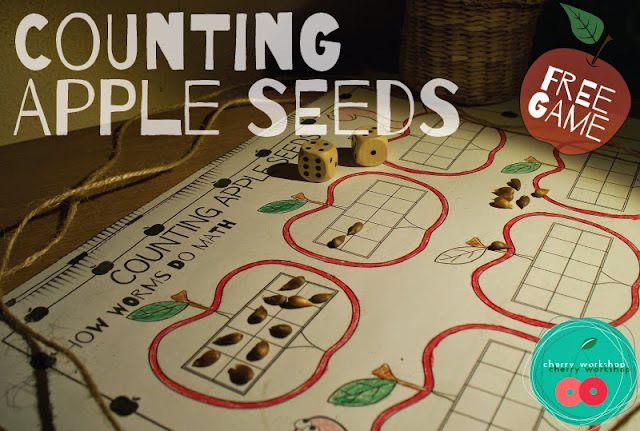 And apple seeds. This is just diving into an imaginary reality that makes learning so much more fun. You can find the link to this apple ten frames freebie here. There’s a lot of counting, addition and subtraction involved. 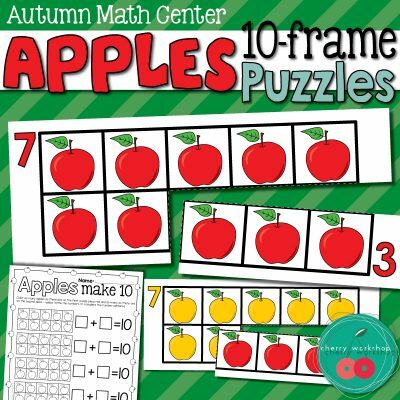 The above freebie can go well with this apple ten frame puzzle. 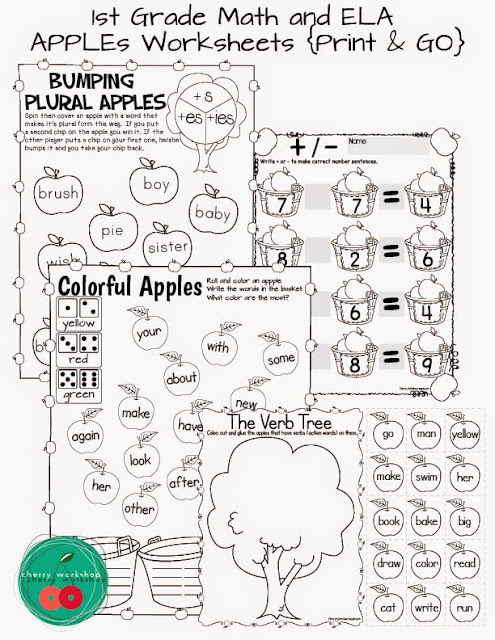 You can use two color puzzles for kids that are still learning their ten frames or one color ten frame apple puzzles for kids that already have some understanding of the concept. 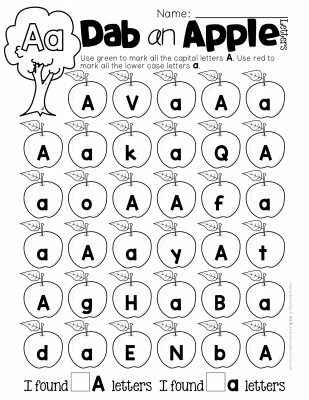 This activity also includes a worksheet that can be used with it and provides additional practice. 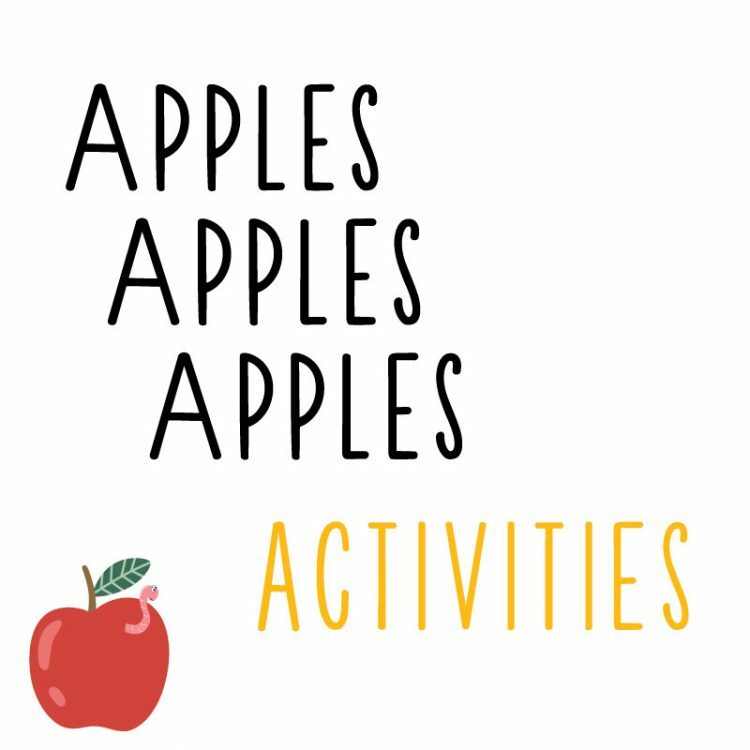 Next is a small collection of APPLE ABC activities. 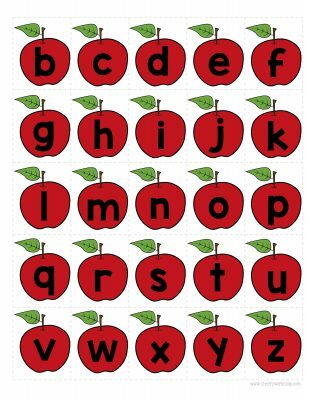 Then what is an apple without the letter A? 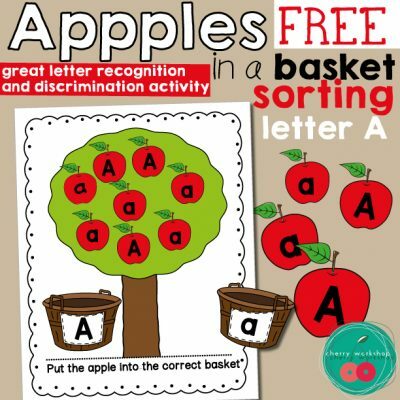 A set of letter practice pages with a apple theme. 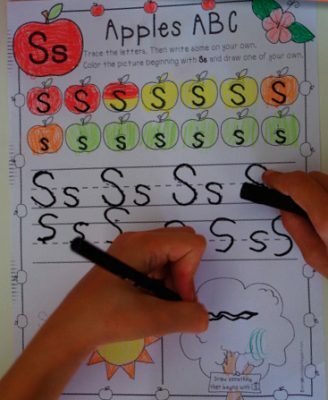 Color, trace and write letters, beginning letter pictures – color and draw. 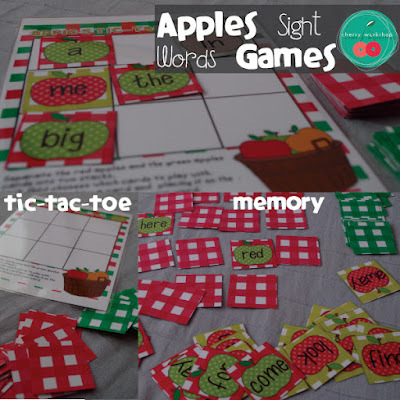 Apples Sight Words Tic-Tac-Toe and a Memory game. These two games are our all-time favorites. For me for they are easy to set up and I use them to teach ANYTHING. For the kids because they are both fun and not complicated. 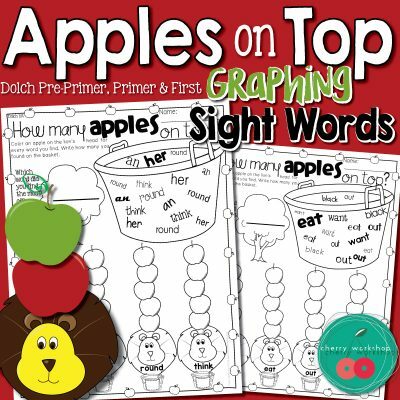 It may be grammar questions with my older kids, math facts, numbers or in this case – sight words. and that’s it, the moment you have these you are set to play, no prep required after the initial efforts. Take turn to pick a card of your color, read the word and place it on the mat. It’s so cute how kids help each other when one is not sure about the word :). I set about 10-12 cards for each color and they use them again and again. So by the time they’ve played 10 games they have seen the words a couple of times. Then memory, we play in small groups and memory is even better for repetition, since they say the word every time they open a card, even if it’s not a match. Take turns to open two cards, do the task, if the cards match keep them. The one with the most cards at the end wins. If you still do winner but I strongly recommend. 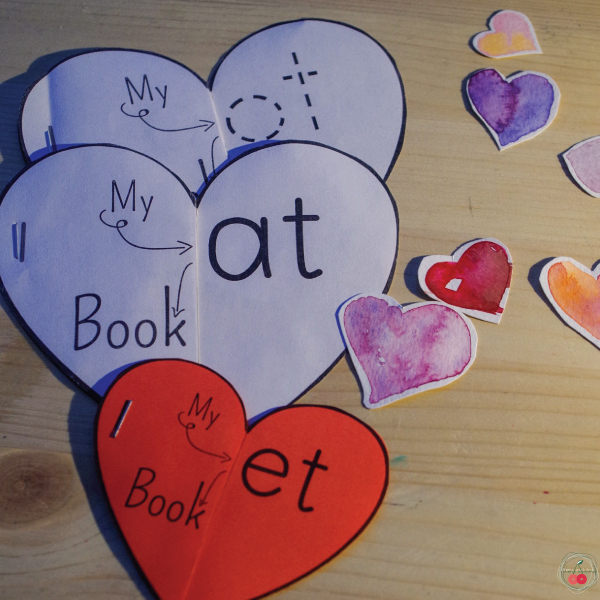 The advantage of playing these two games with any educational content is that kids always want to play more and more and more. 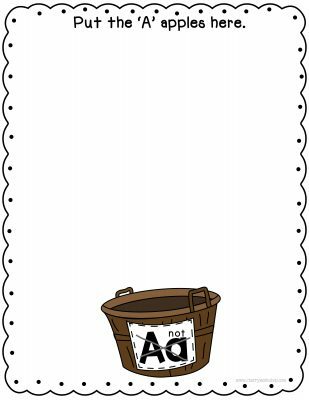 A cool follow up activity. 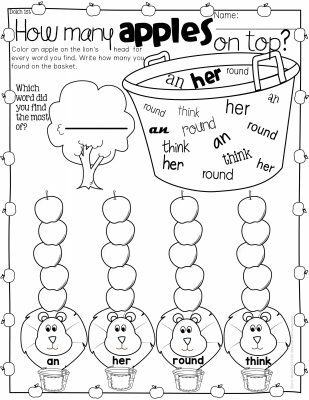 These are my kids favorite worksheets. And this est (for I also have Christmas graphing) are even more loved because of the book.